There are several advantages to elk hunting with Action Adventures. We pride ourselves in quality personalized service. Our guided and outfitted camps are well equipped and never over booked. All guided elk hunts are two hunters per guide. All of our livestock is well broke, trained and conditioned for the mountainous terrain. Our equipment is top notch with your safety and comfort our main concern. Our qualified staff is always there to meet your needs. Action Adventures is a family owned and operated Colorado Outfitter. Western Colorado has been home for many generations. From the years of growing up in the wilds of the San Juan Mountains, we have gained a vast knowledge of the elk, their habits, and the wild country in which they live. 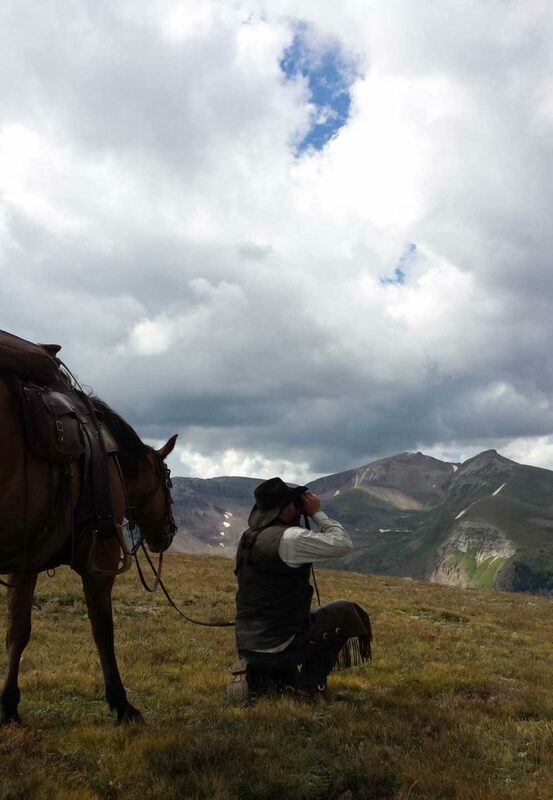 Providing quality wilderness hunting experiences is a way of life here. Your complete satisfaction is our main objective. We are not the largest outfitter in terms of number of clientele we take each year, nor do we want to be. We do want to be the best in making your elk hunting memories great and ones that you will soon want to repeat. We here at Action Adventures would like to have you consider us for your next elk hunt or summer vacation.